Janet Le Sueur, RGN, BSc, Diploma of Nursing Theory (London), Diploma of Community Studies (District Nursing), MLD therapist (Leduc) and Bowen Practitioner. I have been a nurse for thirty years and worked in a variety of settings. These have included oncology, general medical and surgery, midwifery, district Nursing and as a Specialist nurse in continence management. For the last twelve years I have specialised in palliative care. I work at Dorothy House Hospice as a nurse and Lymphoedema Practitioner and have been there for several years. My interest in lymphoedema management has included both conventional and complementary interventions aiming to provide holistic care for those with this condition. Over the years I have studied Manual Lymphatic Drainage, Reiki, Bowen therapy and latterly the ‘M’ technique and feel these skills have really enhanced my nursing care. 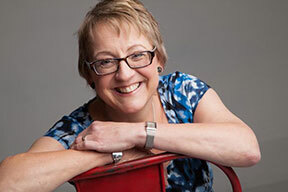 In 2008, I was asked to lead both Lymphoedema and Complementary Therapy within the hospice. With the support and enthusiasm of a dedicated team of staff we provide a variety of Complementary Therapy treatments for patients, carers and bereaved people. These include: aromatherapy, reflexology, Indian head Massage, Reiki, and more recently the M Technique. The service is now well established. Several of the Complementary Therapy team had used the ‘M’ Technique® in their practice and their enthusiasm encouraged me to study this gentle soothing technique for myself. I feel the ‘M’ technique is a fantastic tool for Health care professionals as it is so simple to learn yet can be deeply relaxing and anxiety relieving so quickly. I took the ‘M’ Technique® practitioner course in 2008 and I was invited to attend the M Technique Instructor course in 2011. Janet is also a reflexologist.